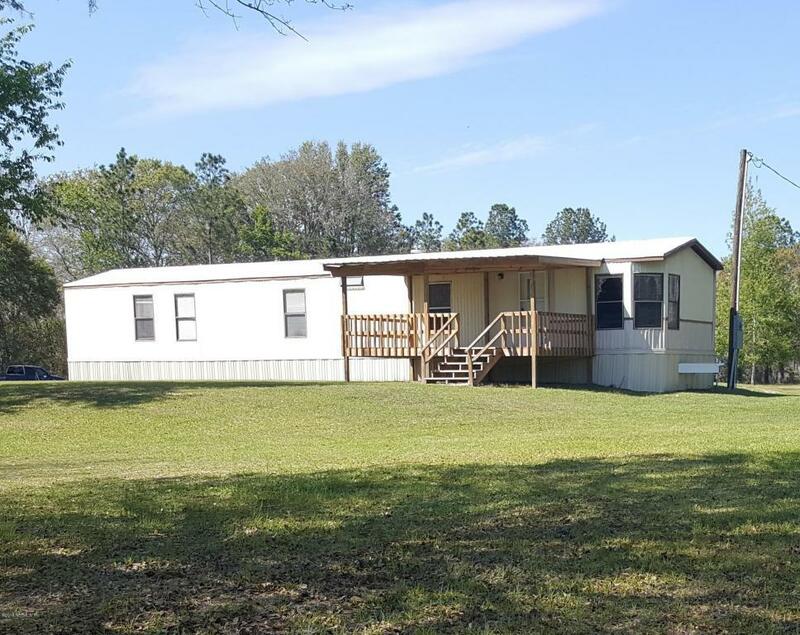 AFFORDABLE 1.66 acre lot in Union County with a 2bd/2ba mobile home, boasts beautiful built in's, large over sized range, high ceilings with decorative molding, dining room nook with a wrap around kitchen and master retreat with large garden tub. Enjoy the tranquil setting while sitting on the front or back covered porch sipping some sweet tea or coffee. There is also a large 24x25 shed to store all of your gardening equipment or turn it into an outdoor bonus room. Schedule your appointment today.